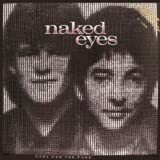 NAKED EYES "fuel for the fire"
Great artist Jerome! My brother saw him live recently...great concert!!! !